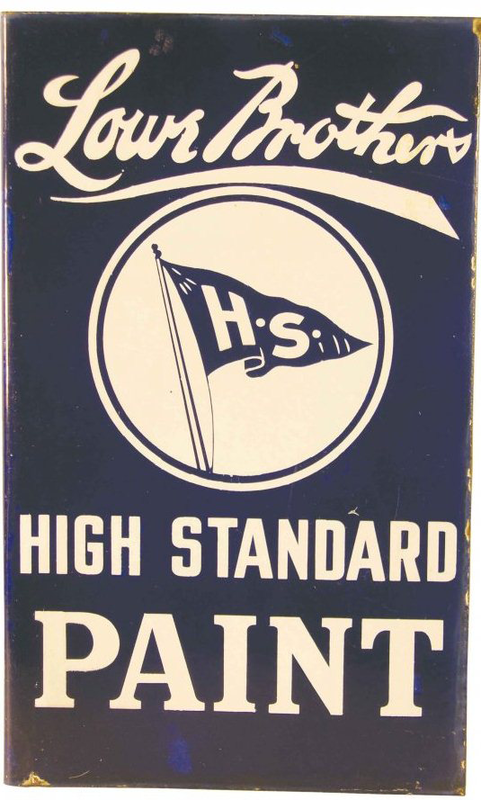 This is a rectangular High Standard Paint porcelain sign. This particular High Standard Paint sign is blue with white print. It reads, “Low Brothers High Standard Paint” and features a flag flying in the center.